If you are looking for support for myotonic dystrophy or congenital myotonic dystrophy, join our online community at: www.community.myotonic.org. We had a real scare with Kayla today. I got a call this morning from one of our nurses that she fell out of one of our kitchen chairs and hit the tile floor. She seemed upset at first but then was able to calm down. It didn't seem like she was hurt until I got a call that she had thrown up about half an hour later. I raced home just in time to meet the paramedics at our house. 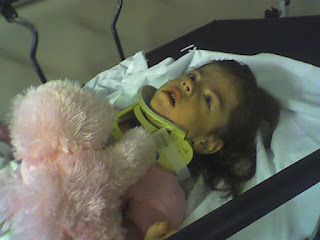 They put her in a neck brace and rushed her down by ambulance to the ER at UC Davis. Kayla was such a trooper and didn't complain that much about being locked down for most of the day. We entertained her and tried to keep her spirits up. She is such a good little girl. The doctors did a CT scan and several X-Ray's and confirmed that she didn't have any damage from the fall. 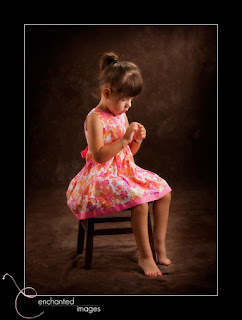 We were so relieved until the doctor mentioned that she had brain stem and frontal lobe atrophy consistent with congenital myotonic dystrophy. That was a punch in the gut that I wasn't expecting. I know that it's a reality of this darn disease but to hear the doctor say those words about my angel Kayla, really took my breath away. I cried on the ride home but then got through it and I'm ok now. I know that I can't focus on that right now as Kayla has done more than anyone expected her to so we feel very blessed that she is even here with us. I really believe that an angel scooped in to save Kayla from that fall. 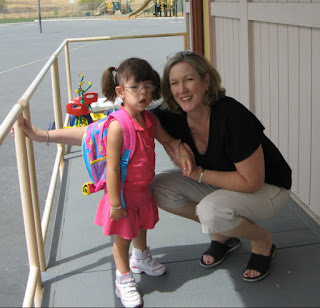 When I got home I saw how she fell and I realized what a miracle it was that she's ok.
Labels: 'Congenital Myotonic Dystrophy', "baby Kayla", "congenital myotonic dystrophy"
On September 19, 2008, we went to Manhattan Beach, for the 2008 Myotonic Dystrophy Family Conference. The conference was great and we were able to connect again with lots of our friends that we've made throughout the years. The Myotonic Dystrophy Foundation (MDF) helped to sponsor the conference this year and I had a table during the conference where we met families and provided medical information. We officially introduced our new websites, www.myotonic.org where we have comprehensive content about myotonic dystrophy and our new online community site, www.community.myotonic.org where families living with myotonic dystrophy can connect. Going to Manhattan Beach was little surreal. I lived in Manhattan Beach before going to business school in 1998 and all of the memories of how simple life used to be came flooding back to me. The hardest decision that I used to have to make was whether or not I would play beach volleyball or rollerblade until the sun went down after work. I really miss those simple days but I wouldn't give up my life right now if it meant not having Kayla in my life. I got a phone call today from a family who has a new baby in the NICU who is struggling with congenital myotonic dystrophy and that call reconfirmed to me how important the work I do is. 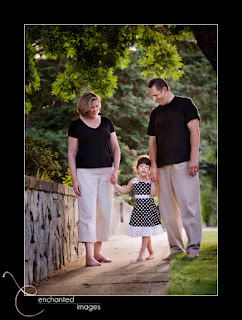 The mom cried to me and told me that I saved her life and gave her hope by documenting Kayla's story in my blog. I cried my eyes out knowing that the experiences that we had with Kayla were helping someone else. That call is one that I will remember forever. Being able to help someone in need is the most rewarding thing I have done in my life. Well, I need to go feed Kayla so I'll write more later. Labels: "congenital myotonic dystrophy", "Myotonic Dystrophy Foundation", "www.myotonic.org"
Well, I never imagined not writing in my journal for 9 months but life has been very busy. I'm not sure how to really recap the last 9 months so I won't really try. Here are a few of the highlights. Kayla started walking without the aide of her walker around her second birthday but it took her a few months before she could walk completely independently. Kayla still loses her balance easily so we have to stay close by to make sure she is safe. She is also able to walk up the stairs if someone stands by to assist her. She's such a big girl now. Speaking of big, she is 42 lbs and 43 inches tall already. She looks like a 5 year old. More news; after a year working at eBay again, I made a decision recently to leave to help launch a website, www.myotonic.org, for the Myotonic Dystrophy Foundation where I've been a board member for almost 2 years. It's a family advocacy group started by 8 different families who are affected by myotonic dystrophy. Our focus is education, advocacy, community support and research. 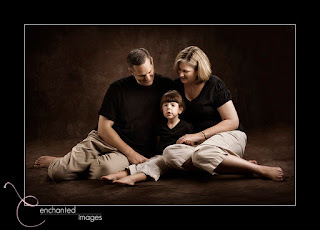 We also have a community site where families can connect at: www.community.myotonic.org It's been great to have time to do something that makes a difference in peoples lives and although I miss my eBay friends, it's been the best decision of my life. I now have time to focus on helping to fight this disease and to make a difference. In my free time, I'm still helping the MDA to work on fundraising events in our area. It feels so good to be in a space where Kayla is relatively healthy and that I can do such important work. Well, we have had a really nice summer overall. We took Kayla back East to Baltimore again this summer but unfortunately it was for Jeff's father's funeral. Jeff's dad died from complications from Alzheimers. It was a really sad time but it was very special for Kayla to be able to spend time with her cousins on both Jeff's side and mine. Kayla really enjoyed playing with her cousins and it was amazing to see her running around with them, happy as ever. 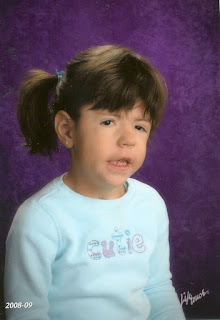 Kayla started pre-school on August 19th. It was one of the happiest moments for us to see her going to school after being told that she may not likely survive past the first year. Kayla is such a fighter. She's attending a special day class where she will be integrated into a regular classroom throughout the week. It's a perfect setting for her and she loves her teachers, aides and therapists. Her teacher Mrs. Kelly is a bundle of energy and I can tell that Kayla adores her. She also has a signing aide in the classroom that is helping her to continue building her signing vocabulary. She is now signing over 170 signs and is begining to put words together to let her needs known. She's still struggling with her speech but with lots of therapy and help from us and her care providers, she's coming along. I have faith that Kayla will be able to speak so we are working as hard as we can to help her but meanwhile, we continue to use ASL signs. Today is Jeff's and my 5th wedding anniversary. I can't believe we've survived 5 years even with all we've been through. We are going our tonight for a nice dinner to celebrate. It seems so ironic that we got married on Labor Day weekend considering that it's the weekend dedicated to fight muscular dystrophy and all of the other neuromuscular diseases. Speaking of the weekend, tomorrow, on Labor Day, Kayla will have her story told again on the Sacramento region Jerry Lewis MDA Labor Day Telethon. For those of you living in the Sacramento region (extended), tune in on channel 58 from 10:45 am to 11:30 pm to see Kayla's spot and to hear our interview. They are interviewing my mom, my aunt June (mom's twin) and I about how this inherited disease affects our family. It's the first time that I'll be talking about the disease and how it relates to my mom and I. I'm a little nervous but think it will be liberating to talk about it. I feel like I've been living someone else's life as I've been nervous to talk publicly about it but I'm finally ready. If you are able to, you can also make a donation during the telethon. Make sure you tell the person on the line that it's in honor of Kayla. :) I love being able to share Kayla's story with everyone and for telling how she's beaten the odds. Well, Kayla wants me to pay attention to her so I'm going to sign off for now. I'll write more later. Labels: "baby Kayla", "congenital myotonic dystrophy", "Pre-school"